Just three kilometres south of Arusha’s dusty, congested streets, the village of Engo Sengiu sits at the end of a long, bumpy dirt road, surrounded by fertile farmland. The village’s rutted roads are bordered everywhere by lush, green vegetation invigorated by the recent rains. John Melau-Laizer grew up here studying his father’s planting techniques, the same techniques he now uses himself. Mr. Melau-Laizer, 35 years old, now works for FoodWaterShelter, or FWS, an Australian non-governmental organization based in Tanzania. FWS built a self-sustaining, eco-friendly school and residence called Kesho Leo, or Tomorrow Today, in Engo Sengiu. Kesho Leo provides educational, social and health facilities for vulnerable women and children. FWS uses permaculture on its one-hectare farm. Permaculture is a system for designing sustainable human settlements. Mr. Melau-Laizer runs the organic agriculture and aquaculture projects and tends to the cows, chickens and ducks. These provide food and income for the six women and 12 orphaned children who live at Kesho Leo. Kesho Leo is designed to be sustainable. Rainwater is collected on the building’s rooftop and piped to huge tanks underground. Human waste is composted behind the home in large barrels and used as fertilizer for crops. Cow manure is also collected and used in vegetable plots. Two nearby ponds with ducks and tilapia provide water for the farm, while a stable of four cows provides up to sixty litres of milk per day. Meanwhile, 45 chickens produce enough to ensure a daily egg for each resident, providing essential protein and other nutrients. Mr. Melau-Laizer says his proudest achievement is the intercropping techniques he learned from his father, techniques which he has improved over the years. 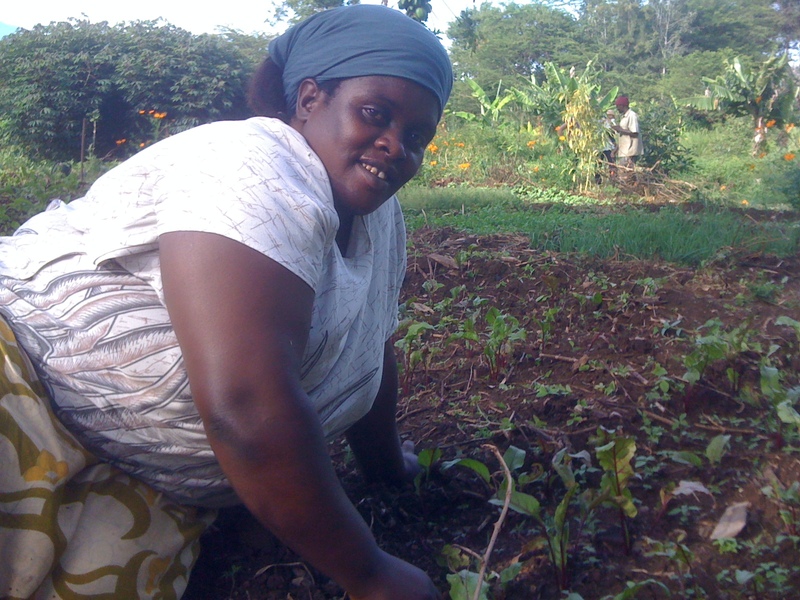 Intercropping acts as a natural form of pest management. Mr. Melau-Laizer has also planted neem. Neem is a medicinal tree which acts as an organic pesticide. He grounds neem leaves to a fine powder and soaks them in water for 12 to 24 hours. The solution is sprayed on crops as a pest repellent to protect them from damage. According to Ms. Bradley, permaculture could play a huge role in improving livelihoods for farming families across sub-Saharan Africa. As part of the FWS team, Mr. Melau-Laizer’s knowledge and practice of permaculture is creating a ripple effect in Tanzania. 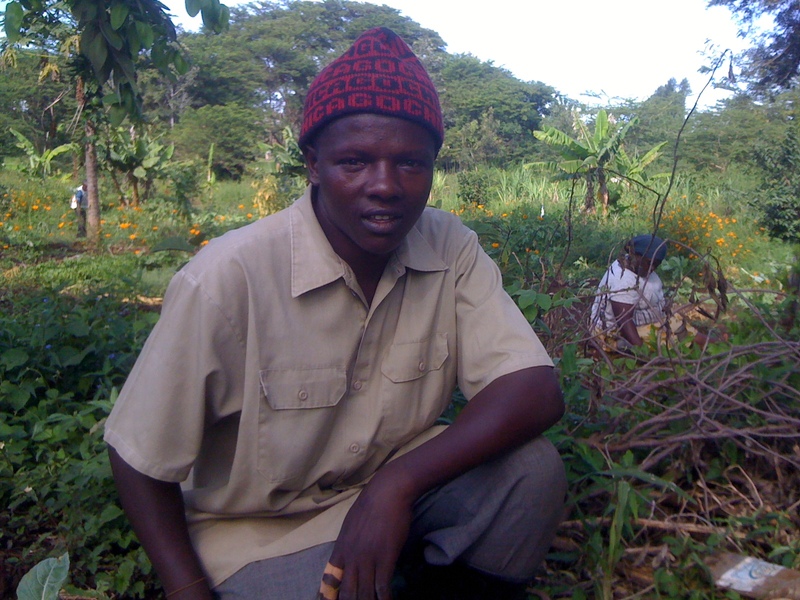 He has trained many local small-scale farmers on permaculture techniques.